Healthwatch Blackpool and Healthwatch Lancashire are currently looking for people’s views on the NHS Long Term Plan and would like to hear your opinions about what is important to you. Healthwatch is the independent health and care champion. 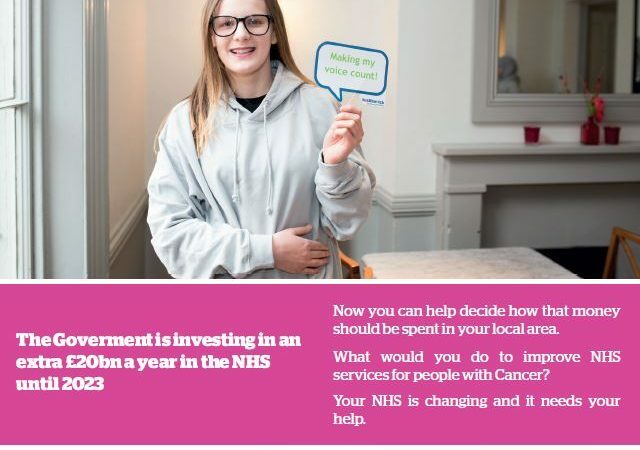 Through ‘What would you do?’we will seek to reach as many people, groups, and communities as possible to get feedback on local NHS services should change.